Sophisticated quality with a relaxed edge- linen is a timeless fabric which radiates a classic style. Here’s how to get the look in your home. Nothing looks good when a half-hearted attempt is made. 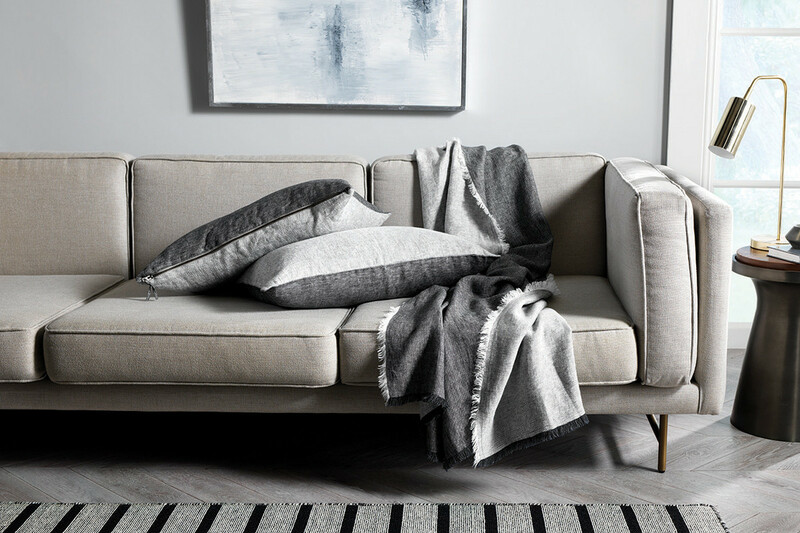 You are going to want to create this look throughout the space and not just throw a linen cushion on the couch hoping it will do the job. Linen, paired with linen, paired with linen is what you are aiming for. The beautiful thing about the fabric is that it speaks for itself. The simplicity behind the look means less is definitely more with your other chosen décor and furniture. Gone are the days of forcing creases out of bedding. In fact, the more creased and crumpled the better. 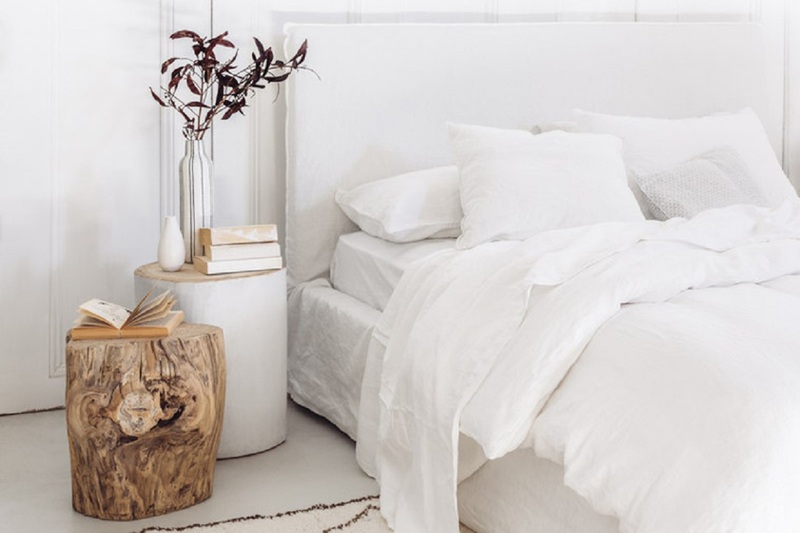 The great part about this is the fabrics has a forgiving nature – when you are late for work and throw your doona cover over the bed in a rush, it actually looks stylish. There is no need for perfection and no “correct” way to style it. Spreading the look through your home will add a balance and continuous effect. Adding linen towels to your bathroom will create an instant trendy edge. The fabric is also hard wearing and will last you a long time. Spreading your dining table with layers of linen, napkins and using linen tea towels in the kitchen are perfect ways to incorporate linen. The texture of the fabric brings a chic richness which will add character to any occasion. When you think of linen you think, soft, relaxed, and a bit of a romantic feel. When adding décor to your space other natural materials pair well with linen such as raw wood and rope. Stick to a laid back look to create an undone vibe. It’s a minimalistic look that doesn’t just have a visual impact about it, but a relaxed vibe too. You want to create a space emitting a ‘linen lifestyle’. Another great way to incorporate linen is to create contrast in a more formal room. 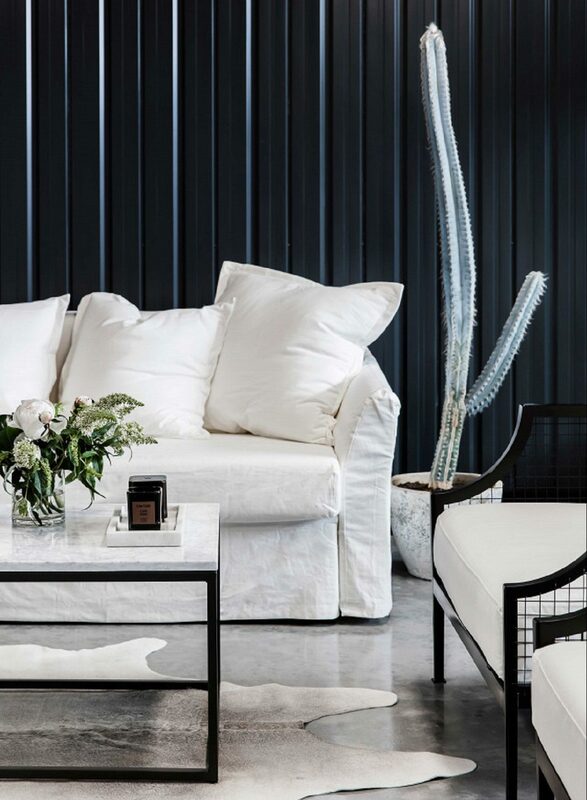 A linen sofa paired with straight lines or hard simple textures such as streamlined wenge furniture, polished concrete and marble can also work well.